Who needs the stock market? You do! That is, if you want to retire some day. Or if you have kids and you'd like to help them pay for college. Or if you have a future dream/goal/plan that requires more money than you have now. For as long as people have been keeping track of such things, the stock market has provided the best long-term returns of any asset class. 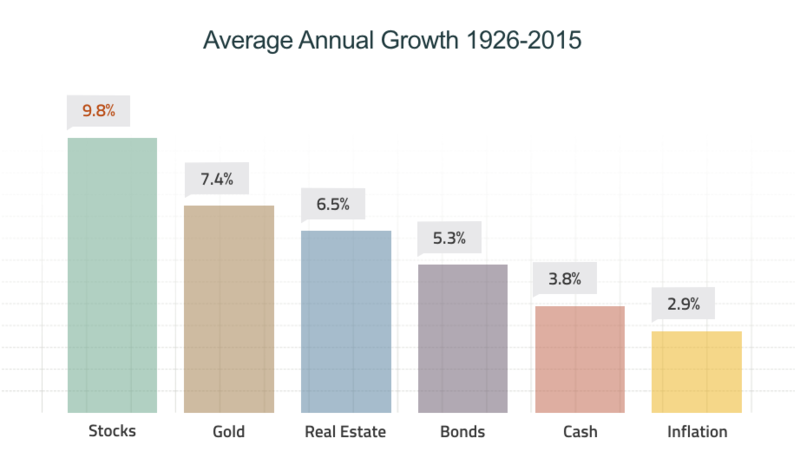 As you can see in the chart below, the stock market's long-term average annual return is better than bonds, housing, and cash.